BRISTOL - The Bristol Blues put up a fight, but it just wasn’t enough. 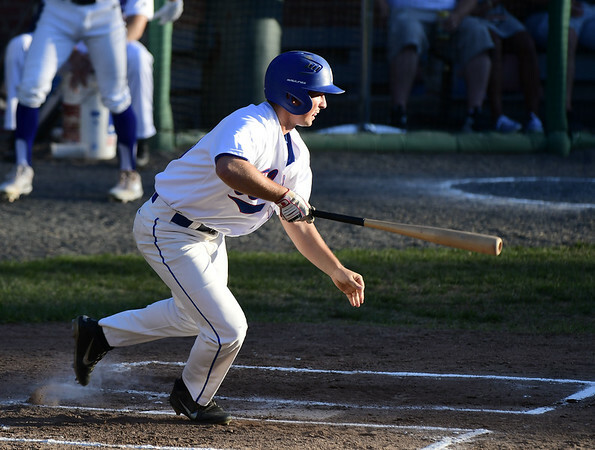 Bristol’s season came to a close Wednesday night at Muzzy Field with a 11-5 loss to the Worcester Bravehearts. The result gave the Blues their second loss in as many nights to drop the best-of-three series. It was a game of missed opportunities for the Bristol offense. The Blues left 10 runners on base, including leaving the bases loaded in the third and fourth innings. Bristol did have some highlights with the bats, though. Alex Loparco, Dylan Reynolds, Malloy and Andrew Hague all reached base multiple times in the game. Reynolds had three RBI to lead the offensive effort. Malloy reached base five time, with three walks and two hit-by-pitches. The defense kept the Blues in the game all night. The Blues nabbed three Bravehearts at third base in the game, including second baseman Andrew Hague catching a runner too far off the base after a diving stop in the third on a play that seemed to give Bristol some life. But the pitching just couldn’t hold on to an early lead for the Blues. Jake Regula got the start on the mound and lasted just three innings. Regula game up three runs, all in the third inning. He struggled with command throughout the outing, giving up five hits and walking three. In all, the Blues had to use seven pitchers in the game. Justin Rouse came on in relief for the fourth day in a row and his fatigue showed. In an inning of work, Rouse gave up two runs on three hits to surrender what, at the time, was a 4-3 Bristol lead. Palmer thinks his pitching staff simply ran out of gas. Despite not reaching the ultimate goal, Palmer couldn’t help but be proud of the effort his squad put in this season. Posted in The Bristol Press, Bristol, Bristol Blues on Wednesday, 8 August 2018 23:33. Updated: Wednesday, 8 August 2018 23:36.